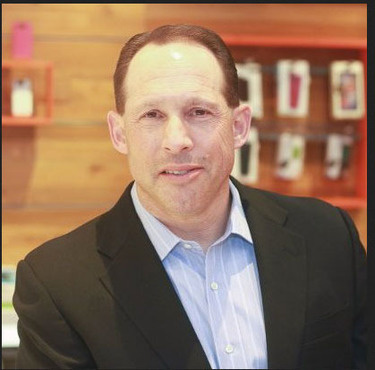 Glenn Lurie, CEO of AT&T Mobility, said in a keynote address at CTIA Super Mobility 2015 in Las Vegas on Thursday that his company will continue to branch out into areas far beyond traditional mobile services, including connected cars, telemedicine and numerous areas of IoT. Glenn Lurie, CEO of AT&T Mobility, said in a keynote address at CTIA Super Mobility 2015 in Las Vegas on Thursday that his company will continue to branch out into areas far beyond traditional mobile services, including connected cars, telemedicine and numerous areas of Internet of Things. Lurie’s talk was notable mostly for its breadth, with the CEO focusing heavily on the consumer side of the business and talking up new partnerships with various companies to provide everything from connected luggage and bicycles to smart home technology that heavily automates the basic management of the house, having this week incorporated Nest smart thermostats into its Digital Life platform via a newly opened API. “Our goal here is to let customers make the choices as to what they want,” he told the audience. Digital Life’s security capabilities, Lurie said, are being spun out into a product called Digital Life Personal Security – a feature-heavy smartphone app that can stream live video and audio from people in threatening situations to a monitoring center, locate people who are lost and even summon police. The app will be made available in November to select Digital Life premium subscribers, with an eye towards broader availability. “We’re going to offer this to anybody who wants to add this to their smartphone,” said Lurie. In addition to a new partnership with Jaguar Land Rover to provide infotainment and navigational connectivity for that company’s cars, Lurie announced that AT&T has teamed up with SaaS fleet management company Telogis to help vehicle diagnostics, plot locations and even push software updates to connected car components. Despite recent negative press about security failings in some connected cars, Lurie remains bullish on the future of the technology, citing a Gartner report as saying that 250 million vehicles will be “connected cars” by 2020, and that AT&T has already partnered up with more than half of the top 15 automakers. “We have a nice lead in this space,” he said. Lurie made a wave of minor partnership announcements involving various other types of IoT products, including location-based anti-theft devices for luggage and bicycles, and a wheelchair with location tracking and battery-level monitoring. But the future plans are anything but simple – everything from the connected home to smart cities to industrial IoT is on AT&T’s radar, according to Lurie. And it’s all got to be centralized and interconnected for the best possible experience. “We are still in the infancy of this business and what IoT can be,” he told the crowd.